Intertech is a leading supplier for Mowing parts mold, making all kinds of lawn mower mold and electric mower , plastic lawn mower mold in Taiwan. Intertech's services include prototyping, tooling, lab testing, production and assembly. Each mold and molding projects case, we will see client specifications to serve the needs of a wide variety of industries. Our injection mold technology have D&B D-U-N-S compliant working system and meets high industry standards. 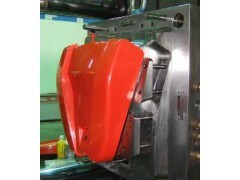 We can mold any plastic, metal and rubber projects for customers. We have advanced machinery equipment to provide small to larger mold projects and also manufacture thermoplastic, engineering plastics, silicone rubber and metal parts.